I got some info on the new camera name - it will be called Leica V-Lux 20 (and not C-Lux 20 as previously reported - the EXIF data was correct). 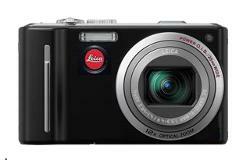 Some dealers can already place orders for the upcoming Leica V-Lux 20. The reason they decided to go with a V instead of a C model is probably because of the long zoom - 12x (the camera will be based on the Panasonic ZS7, so expect exactly the same specs). This entry was posted in Leica Compacts, Leica V-Lux. Bookmark the permalink. Trackbacks are closed, but you can post a comment.